Background: Plants are often surrounded by hostile environment including abiotic and biotic stresses. 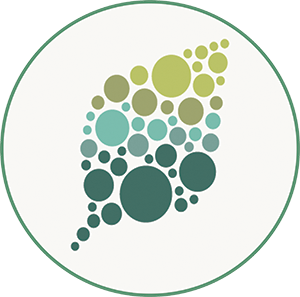 Jasmonate (JA) is a lipid-derived plant hormone that regulates plant immunity by triggering genome-wide transcriptional changes in response to mechanical wounding, insect attack, and pathogen infection. Although JA-mediated defense responses facilitate the adaptation of plants to a wide range of biotic and abiotic stresses, these responses can be detrimental if they continue excessively and are not terminated in a timely manner. Hence, appropriate termination of JA-mediated defense responses is an integral part of JA signaling and is essential for optimizing plant fitness according to the rapidly changing environment. Question: Although much has been learned about the transcriptional activation of JA-responsive genes that is regulated by the master transcription factor MYC2, relatively less studied is the termination of JA-mediated transcriptional responses and the underlying mechanisms. Findings: We found that MYC2 regulates the termination of JA signaling through activating a small group of JA-inducible bHLH proteins, termed MYC2-TARGETED BHLH 1 (MTB1), MTB2, and MTB3. MTB proteins negatively regulate JA-mediated transcriptional responses via their antagonistic effects on the functionality of the MYC2–MED25 transcriptional activation complex. 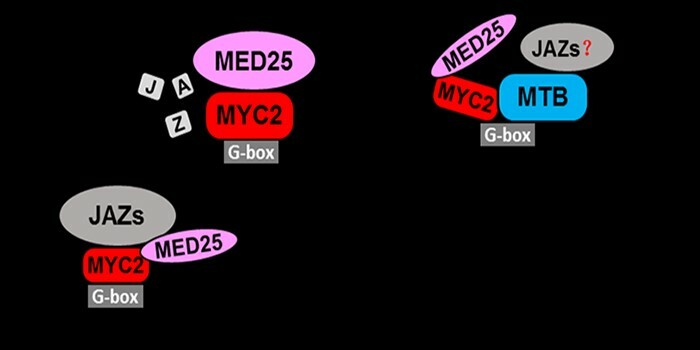 MTB proteins impair the formation of the MYC2–MED25 complex and compete with MYC2 to bind to its target gene promoters. Therefore, MYC2 and MTB proteins form an autoregulatory negative feedback circuit to terminate JA signaling in a highly organized manner. Next steps: One interesting direction for future exploration is to identify the co-factors (i.e., co-repressors) that are involved in the action of MTB proteins. Another interesting direction is the application of these basic insights in the field of crop protection. Tomato vs. the generalist pathogen Botrytis cinerea How does ABA activate a calcium/calmodulin-dependent kinase in rice?